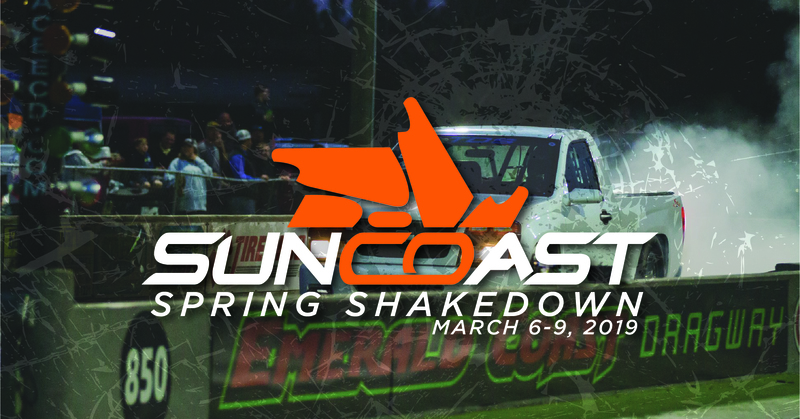 Join us March 8-9 at the Emerald Coast Dragway for the 3rd annual running of our spring break diesel race! $20k of guaranteed racing payout, 10 classes and two full days or racing says we’ll have an awesome weekend ahead of us! See detailed schedule below but Friday nights will be the first running of the TSD Pro-Limited class along with Southern Truck Scene N/T Truck Shootout and 8.0 Truck Shootout, this is open to any/all trucks, gas or diesel! Saturday will be all the fan favorites.. diesel powered Pro Dragster, Pro Modified, Pro Street, 5.90 Heads Up, 6.70 Heads Up, 7.70 Heads Up and even Sportsman ET. If you have anything with a tailgate or anything with a diesel this is YOUR weekend to put it on the track and have some fun! Thursday March 7th – PRO TESTING – Contact us for more details.